Garlic is a plant in the Allium family, closely related to onions, shallots, and leeks. Why is it good for my body? Garlic is low in calories and rich in vitamin C, B6, and maganese. Where does it come from? Garlic is grown all over the world and is popular in cooking for its distinctive smell and taste. 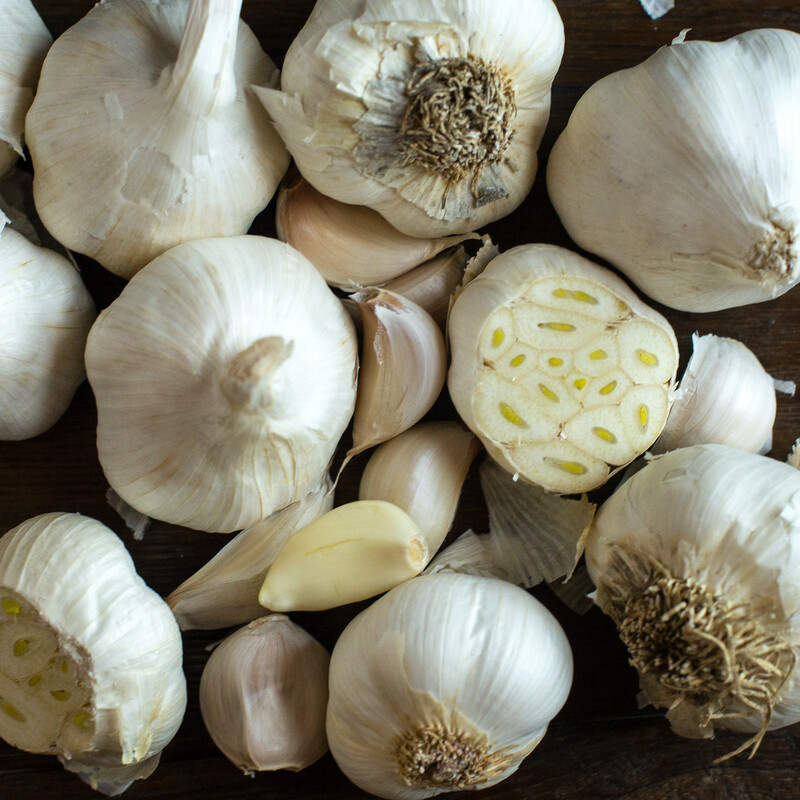 In ancient times, garlic was mainly using for health and medicinal purposes. How do I store and handle it? Garlic bulbs should be stored in a mesh or wire basket. Do not store in plastic bags or sealed containers or they could mold or sprout. What are ways to eat it? Garlic is a staple in many savory recipes. Often sauteed with onion, carrots and celery to start a soup, stew, or stir fry.